The Food and Drug Administration plans to limit sales of some flavored e-cigarettes to vape shops. The FDA also plans to move forward with a ban on menthol cigarettes. 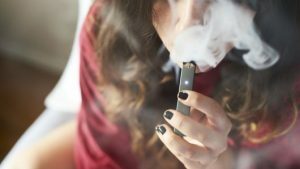 FDA Commissioner Dr. Scott Gottlieb is trying to control “epidemic” levels of teens using e-cigarettes.